Save on your electric bill with Low-E windows from Jeld-Wen. Low-E — or low emissivity — is an invisible metallic coating on the glass designed to reflect infrared light, keeping heat inside in the winter and outside in the summer. It also reflects part of ultraviolet light to protect interior furnishings from fading prematurely. Low-E is often the best choice for energy efficiency and frequently standard on many products. Also, consider which windows and glass doors receive the most direct, intense sunlight. South- and west-facing windows and doors should have the highest level of UV protection. 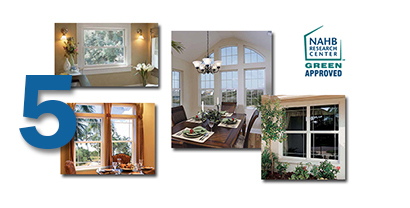 Learn more about the windows we offer. 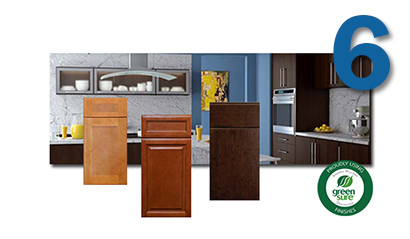 Learn more about Forevermark Cabinetry.